Bordered by Punjab to the west and Haryana to the east, Greater Chandigarh or Chandigarh capital region includes Chandigarh, Mohali, Panchkula, Kharar, Kurali, and Zirakpur. Globally acknowledged for its sustainable design, it is one of the early planned cities in post-independent India. Swiss-French architect Le Corbusier had prepared the master plan of this city. It is high in the economy, and it has one of the highest per capita incomes in the country. Known to be the home to the home to the Harappans 8000 years ago, Chandigarh covers an area of approximately 114 km² and one of the cleanest cities in India. Who designed the Chandigarh city? Born on 6 October 1887 in Switzerland and became a citizen of French, Charles-Édouard Jeanneret, popular as Le Corbusier, was the designer of the Chandigarh City. He was a designer, writer, painter, architect, and urban planner. East Punjab was without any capital after the partition of Pakistan. So, the decision of establishing a new capital 240 km north of New Delhi had taken. Independent India’s first Prime Minister, Pandit Jawaharlal Nehru, laid down the founding principles of the new capital city and said: “Let this be a new town, symbolic of freedom of India unfettered by the traditions of the past.. an expression of the nation’s faith in the future”. 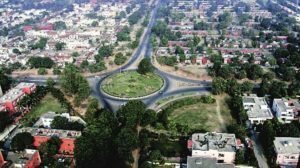 What are the famous places to see in Chandigarh? What are the famous hotels in Chandigarh? What are the famous restaurants in Chandigarh? Serving as the capitals of Punjab and Haryana, India’s first planned city is a green, rich, prosperous city. It is rightly called as the city of beautiful and has become a site of great architectural creations. 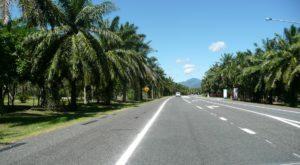 This city offers spacious roads that are featured with fast mechanized transport facility. It is the only city in India which has a unique distinction of being a capital to two states. Its unique architecture, wide tree-lined roads, and beautiful greenery are making this city in the ‘City Beautiful’. We can sum it up in three words – perfect, pristine, and Punjabi.